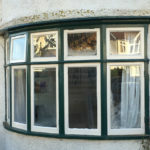 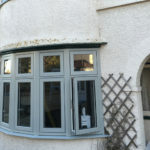 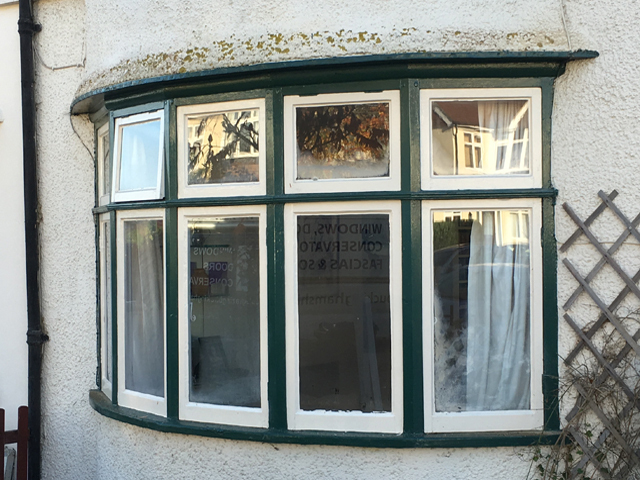 Old timber windows replaced with Residence 9 windows. 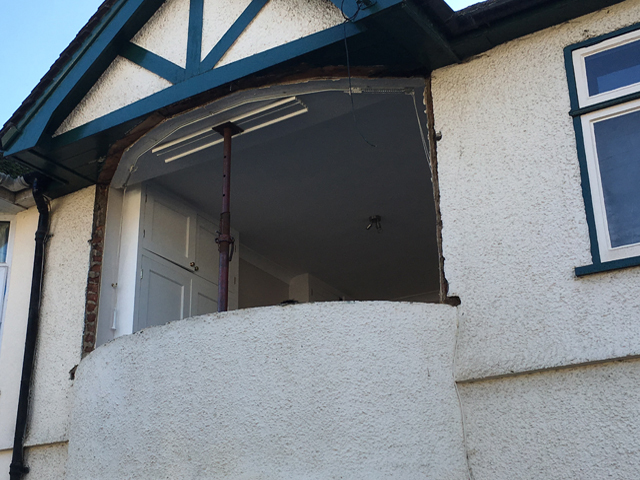 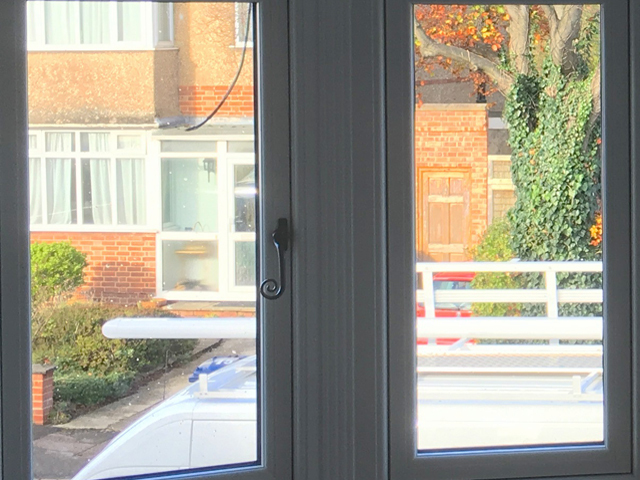 Our clients wished to improve their property by having their old timber windows replaced with an energy efficient, maintenance free timber alternative window. 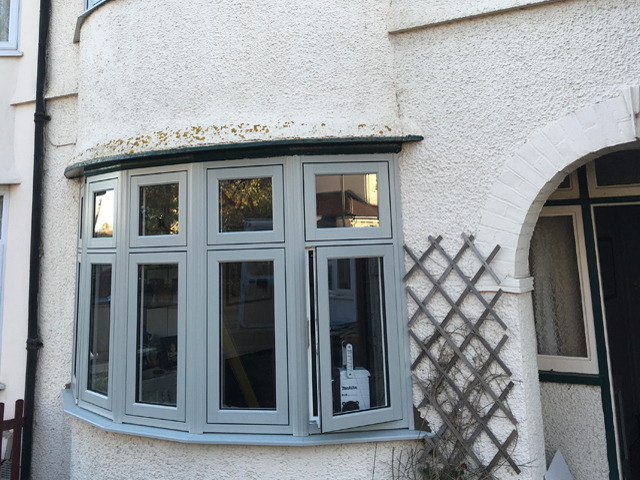 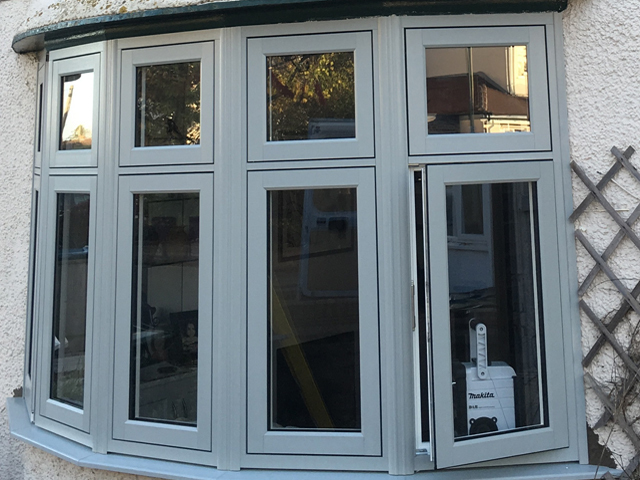 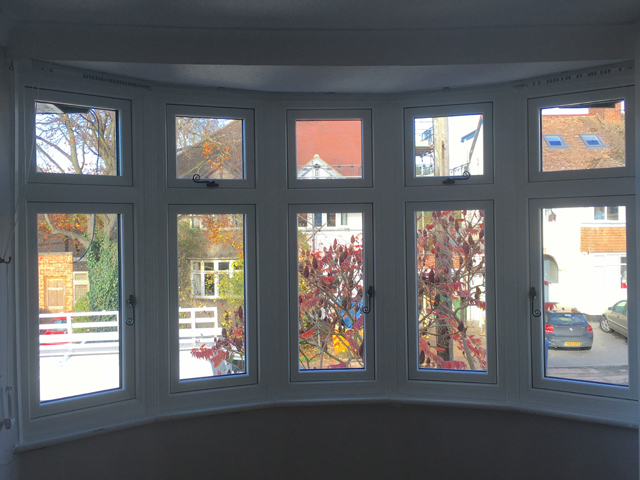 The Residence 9 windows were rec-ommended as these would fuse brilliantly with the style of the property to create a much more modern version of their existing window. 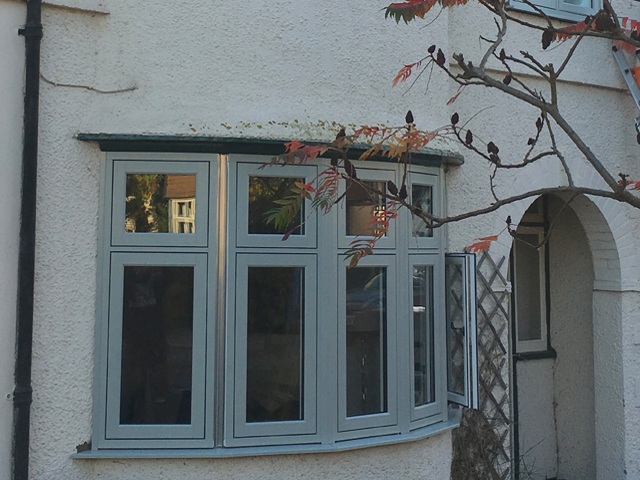 The Painswick colour was chosen by the clients as they were keen to have a subtle alternative to white. 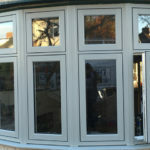 This looks great and ensures that these windows stand out as a high quality product. 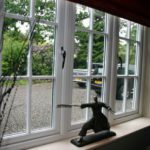 The interior colour is a beautiful grained white that keeps the rooms nice and bright and ensures that the traditional hand forged monkey tail handles are noticed. 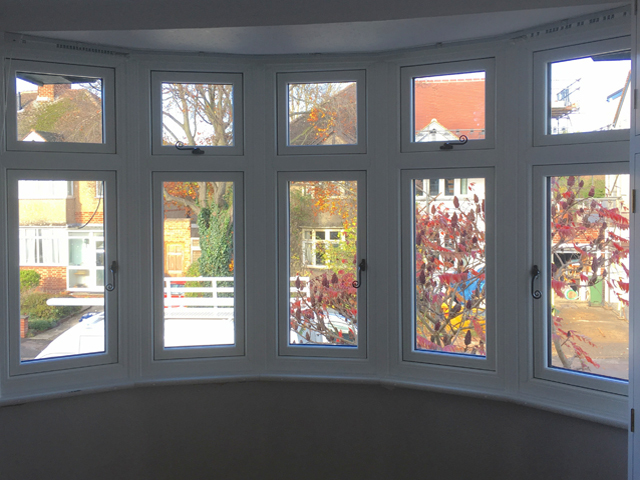 Having the opportunity to personalise these details ensures that you receive a window that suits every aspect of your property and indeed your personality! 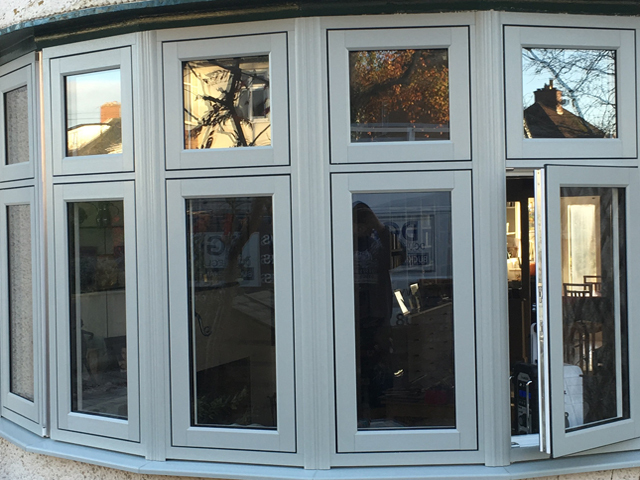 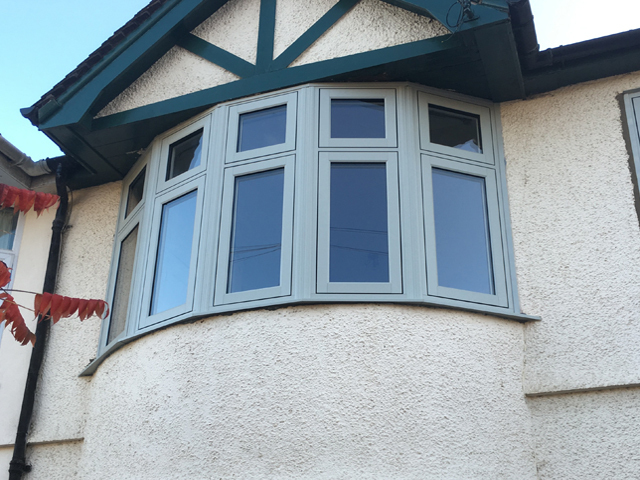 The flush exterior of these windows and slim sight lines really does not only look great but is a per-fect alternative to timber and very much keeps the original appearance of the house whilst having all the modern benefits of a double glazed window. 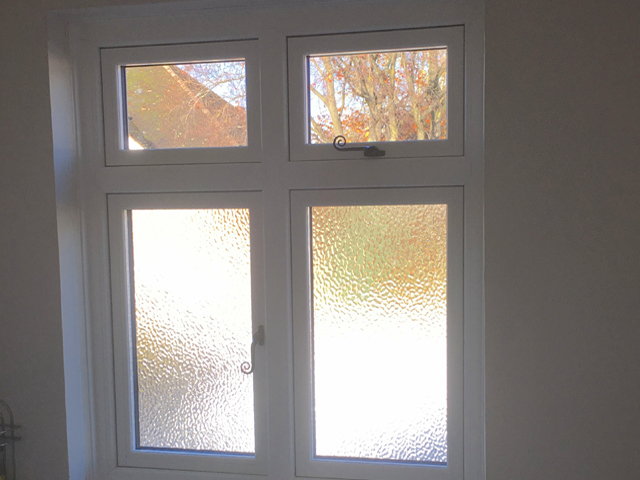 Our clients wished to retain the original style of the windows ensuring that they complemented their home and were looking for a high quality product that not only did this but also kept their home much warmer in the winter months. 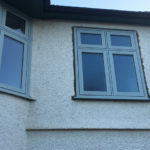 These windows do this so well and not only this but some of the enhanced features such as the handles actually add to the character and appearance of the proper-ty. 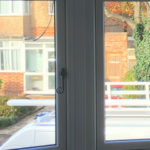 Our clients home will now be much more energy efficient thanks to the thermally efficient glass. 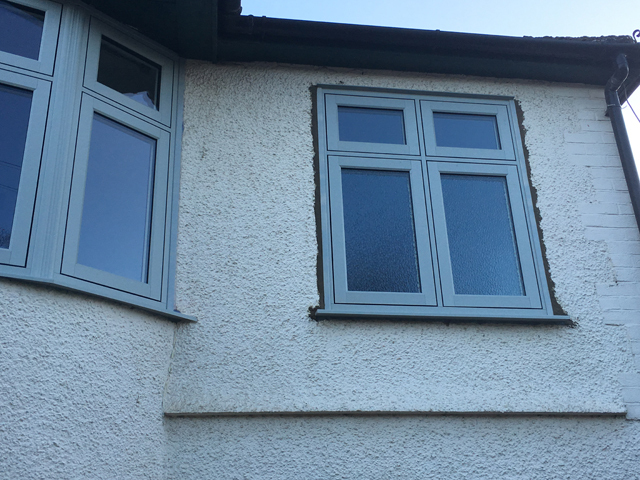 They will also no longer have to spend their precious time painting and maintaining their windows as these are very low maintenance. 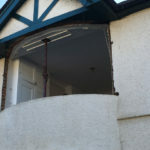 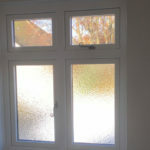 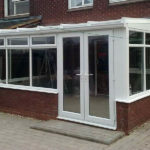 These windows have also completely transformed the look of the property and added value to the home. 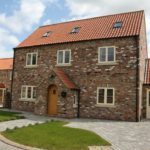 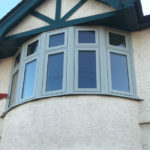 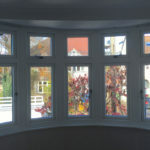 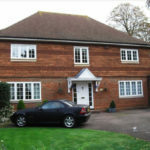 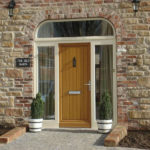 Residence 9 Windows are guaranteed for 10 years and can be designed to suit any property from old to new. 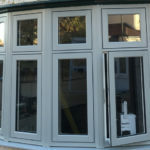 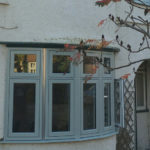 Windows can be personalised to your own taste with a large variety of colours, hard-ware options and features such as Georgian bars. 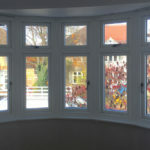 These windows are unique and will add a touch of elegance to any home. 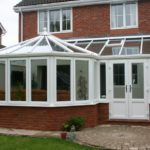 If you are interested in transforming your property, please don’t hesitate to contact us as we will be only too happy to assist you.